Shell to connect 100m cubic feet of gas from 9B phase to production in October. 110m cubic feet decline in gas production from Burullus, Rashid fields, says source. 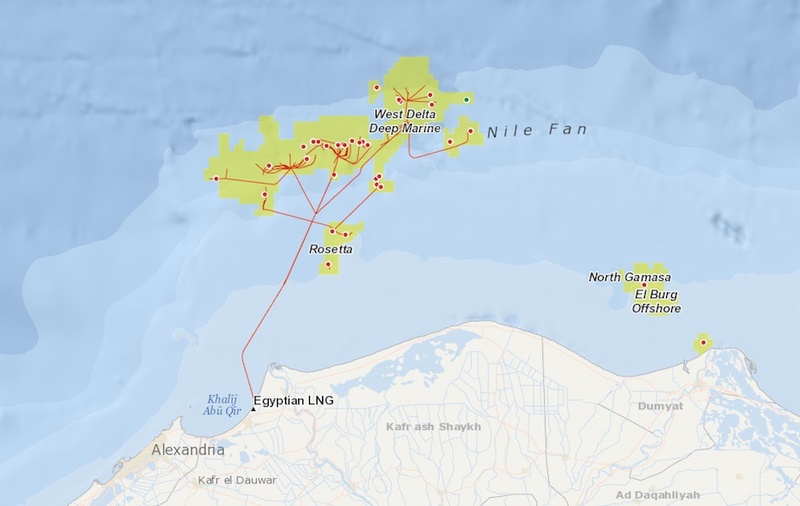 Dutch Shell has completed drilling two wells in phase 9B in Burullus in the West Delta region in the deep waters of the Mediterranean Sea, in order to connect about 100m cubic feet of gas for production starting from October. A source in Rashid Petroleum Company—responsible for developing the project—told Daily News Egypt in an exclusive statement that drilling two wells in the phase was completed using a drilling rig in the region. It was moved, in order to start drilling a third well soon. The source added that drilling the remaining eight wells, alongside with two exploration wells, will take place in the third quarter of 2019, in order to take the production rates of the project to nearly 400m cubic feet of gas and 3,000 barrels of condensates daily. The source explained that the production rate of a single well in 9B in Borollos ranges from 40 to 50m cubic feet of gas per day. Speeding up the development of the 9B phase is taking place, in order to compensate for the natural decline rates of the production in Borollos in the deep water of the Mediterranean Sea, he pointed out. The source said that the total production of Burullus and Rashid fields has declined to nearly 390m cubic feet of gas daily, compared to 500m cubic feet last fiscal year. He explained that the production is divided into 370m cubic feet of gas daily from Borollos field, and 20m cubic feet of gas from Rashid’s concession area. Shell has allocated about $750m of investments for the development of the 9B phase in Borollos in the deep water of the Mediterranean Sea. Rashid has started the procedures to bring a second drilling rig, in order to speed up the exploratory drilling programme in the area through launching a bid. The new exploration wells to be drilled in the deep waters in high temperatures and under high pressures will contribute to providing reserves of 351bn cubic feet of natural gas, in addition to 3.4m barrels of condensates in light of the promising potentials of these wells.